These guys are on the spot. I did a sewer line replacement and other services. I would not use anyone else. My old plumber was not good, so I am glad I found someone who is good. I'm a contractor, and when my people need their sewer worked on, I refer them to Pipe Spy. Very prompt, thorough, and they handled any vagrancy's. After the job, they put everything back nicely. The plants were put back, and they cleaned up really well actually. They're super reliable, and they totally live up to their advertising. I thought they were fantastic. I liked how prompt and professional they were. I was all around happy with them. They really took care of the surrounding area where they were digging so that none of my plants were damaged. When they left, it looked like they were never here, and they returned everything to its original condition. They did beautiful work. I liked that they used really good materials, and they left everything in its original condition. 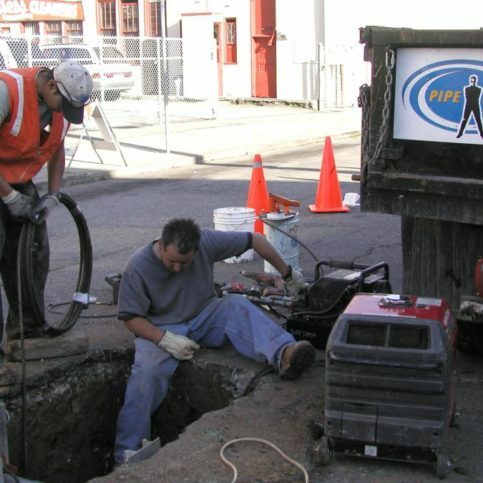 Pipe Spy Inc. uses state-of-the-art equipment to perform trenchless sewer replacements and camera inspections for residential and commercial clients in Alameda and Contra Costa Counties. 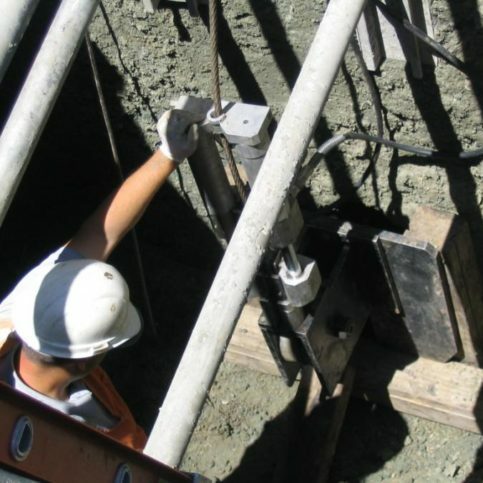 The company also provides various sewer diagnostic and repair services, and it utilizes its expertise in all areas of sewer compliance to help resolve sewer boundary issues with neighbors and city agencies. DIAMOND CERTIFIED RESEARCHED CAPABILITIES ON Pipe Spy Inc.
Company Name: Pipe Spy Inc.
DIAMOND CERTIFIED RESEARCHED ARTICLES ON Pipe Spy Inc. 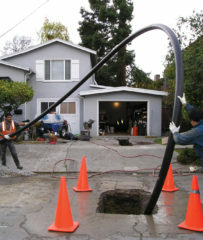 Pipe Spy Inc.’s crew uses state-of-the-art trenchless technology to replace clay pipes with HDPE pipes. 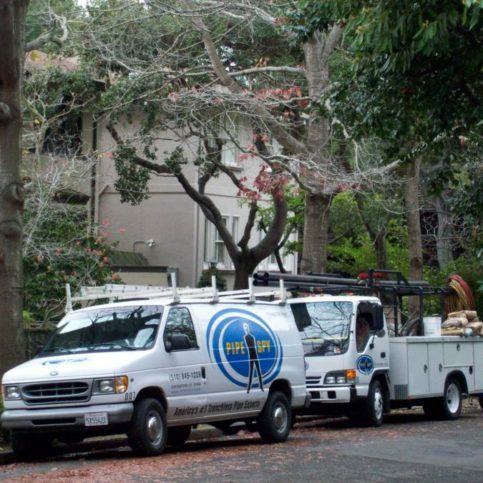 Pipe Spy Inc. has been using state-of-the-art equipment to perform trenchless sewer replacements for residential and commercial clients in Alameda and Contra Costa Counties since 1998. 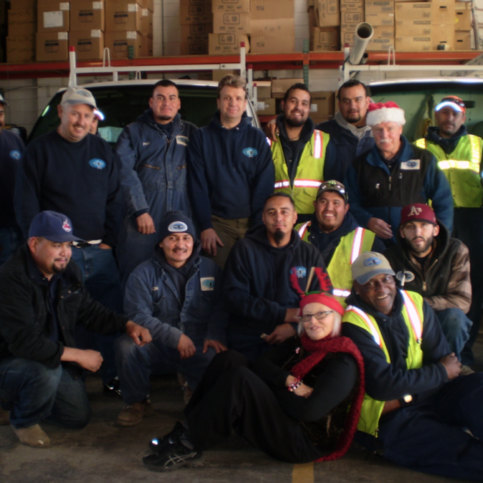 The company also provides a variety of sewer repair and diagnostic services, and it utilizes its comprehensive sewer compliance expertise to help resolve sewer boundary issues with city agencies and neighbors. Q: How much will it cost to repair my sewer line? A: We’ll have to look at your sewer line in order to provide an accurate estimate. For example, the cost of trenchless sewer replacement depends on how many holes need to be dug, how deep those holes need to be and the surface areas that need to be restored. Q: How soon can you start working? A: Our average response time varies depending on the urgency. If it’s an emergency, we’ll respond on the same day you call. We try to get to non-emergency calls within 48 hours or by appointment. Q: Why doesn’t the city repair residential sewer lines? A: Drain lines are considered utilities, which means they’re the responsibility of the homeowner. A portion of sewer lines does belong to the city, but the portion that’s on your property is your responsibility. 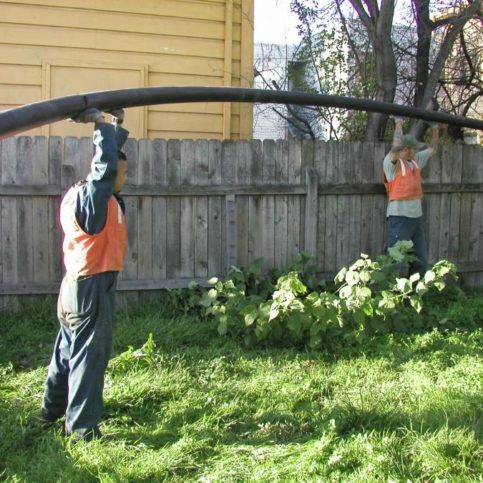 Q: What is trenchless pipe replacement? 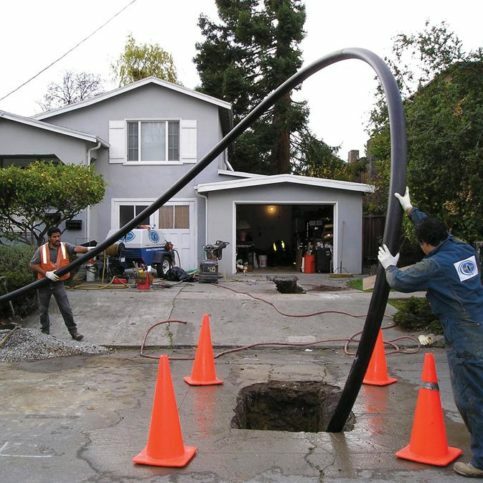 A: Trenchless pipe replacement is a method of replacing underground pipes without digging trenches. We use a pipe bursting method that simultaneously breaks the old pipe and replaces it with a new polyethylene pipe. 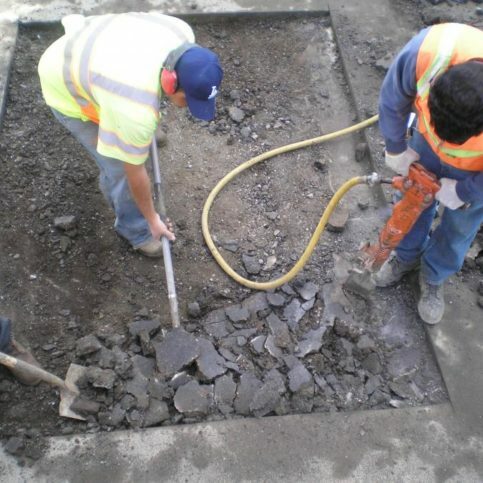 Trenchless pipe replacement typically costs 50 to 75 percent less than the traditional method. Q: How long will it take you to perform a trenchless pipe replacement? A: We can typically perform a trenchless pipe replacement in one day. 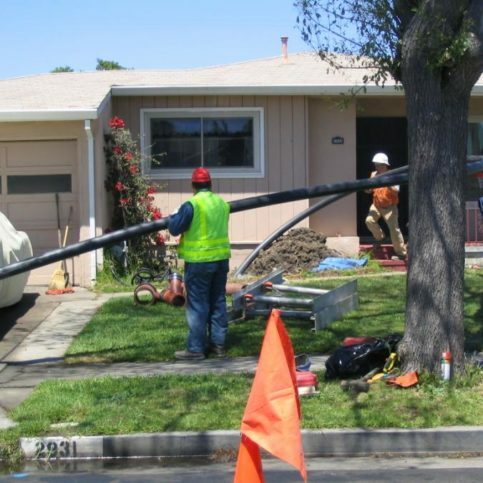 Q: What’s a sewer line video inspection? A: It’s a camera inspection of the drain line that runs from your building to the sewer system. Camera inspections give us a glimpse of how well the line is working. Q: Do you clear clogged drains? A: Yes, we offer power snaking and hydro jetting, which is a method that uses high-pressure water to clear pipe lines. SELECTED PHOTOS FROM Pipe Spy Inc. Pipe Spy Inc.Ûªs expertise guarantees sewer compliance. Pipe Spy Inc.Ûªs service trucks bring customers Competence In Actionå©. Careful post-production work is Competence In Actionå©. 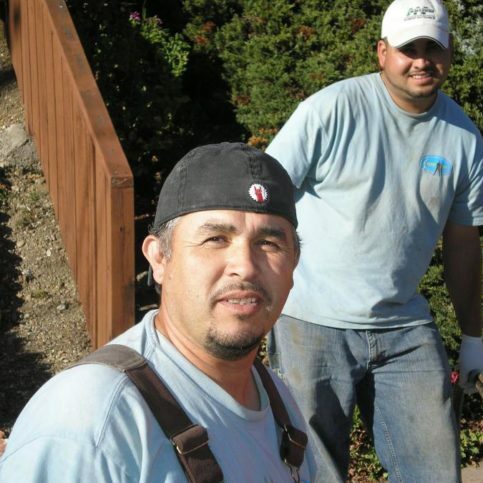 Pipe Spy Inc. has friendly and reliable jobsite production crews. 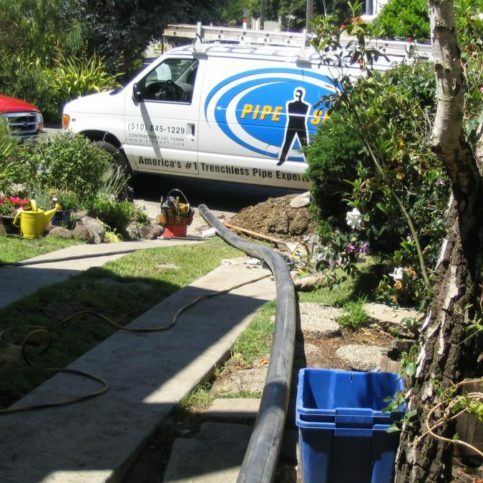 Pipe Spy Inc. cares for its customersÛª driveways, gardens and lawns. 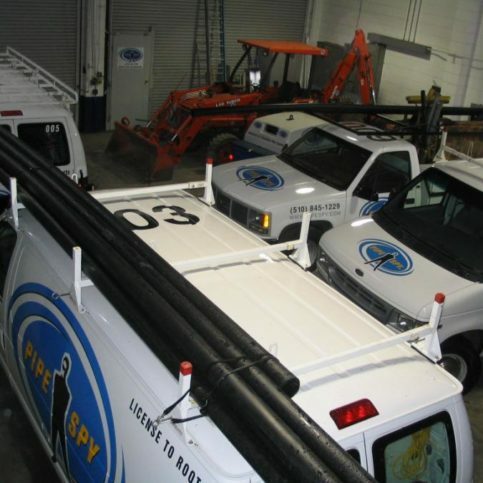 Pipe Spy Inc.’s technicians arrive promptly at every jobsite with all the necessary equipment. 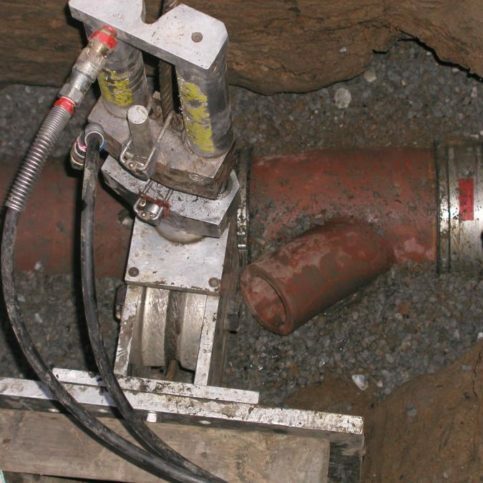 Pipe Spy Inc.Ûªs trenchless equipment simplifies sewer replacement. Pipe Spy Inc. utilizes state-of-the art equipment and techniques. Diamond Certified RATINGS ON Pipe Spy Inc. Pipe Spy Inc. : Average 9.3 out of 10 based on 225 unique customer surveys of customer satisfaction. It was a very brief interaction with them. They scheduled me quickly, they did the work quickly, and that was that. It was the easiest sewer line repair that we have ever had to make. They were prompt. The place was really cleaned up, and you couldn't tell that they had been there. They responded quickly, and they did the work like they said they were going to. Call them. They will get the job done. They got the job done, and I didn't have to worry about it. They are honest and you get what you pay for. I am always happy with the results. They always get back to me, and they are flexible with their schedule in trying to accommodate. They are nice people. Very knowledgeable, they knew what they were doing, and they had good customer relations. I spoke to Paul, because I thought the initial bid was very high, and he lowered the bid. They came out on time, and they were neat. They paid attention to the details, and they didn't break anything. That's about it. They were the only quote that I got, and we trusted them. Just efficient and fast, they did what they said they were going to do. They do quality work, and they know what they are doing. They may not be the cheapest, but they are the best. They have a very reliable crew, and they do a good job. I am a big fan of them. They are extremely capable, experienced, reliable, timely, and flexible. They were honest, accurate, and they did a good job. They did a good job, and they were fast. They came out, and they helped me figure out what the problem was. The whole thing went very smoothly. They did the job according to the schedule. They are our first go-to for plumbing and sewer laterals. They have great local knowledge, in terms of local municipalities and codes, and they are very professional and reliable. They encountered some unusual problems, as I had sewage coming out of a tree, so we thought it was a pipe, which they fixed, but there ended up being a second pipe, which was buried. It ended up being a bigger job than we anticipated, but it was done to code, and I was able to get the city permit. They completed a job that was more complicated than we expected. They are completely professional, an excellent value, and their work is really clean and neat. They know 100% what they are doing, and they don't make any mistakes. They are pretty reliable and easy to work with. By in large, the personnel who do the work are pretty professional. They did what they were supposed to do, and everything was fine. They were responsive, on time, and on budget.